Live dance is just better with live music. The energy, connection and interplay between art forms adds layers and dimensions to a performance that can’t be achieved with recorded music. 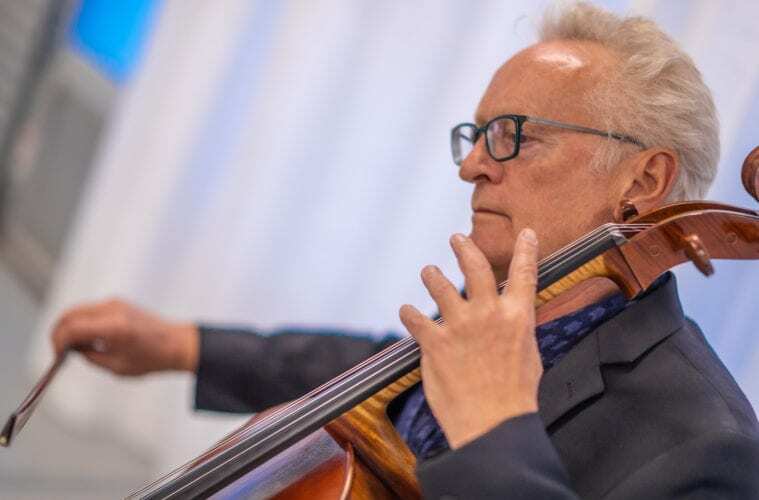 On April 5–7, award-winning composer Robert Een will perform live with Room To Move Dance in Shouts and Murmurs at the Sandy Springs Performing Arts Center. Described by Time Out New York as a “fiercely inventive composer,” Een has written for such luminaries as Meredith Monk, Yoshiko Chuma and Liz Lerman — across dance, theater and film disciplines. 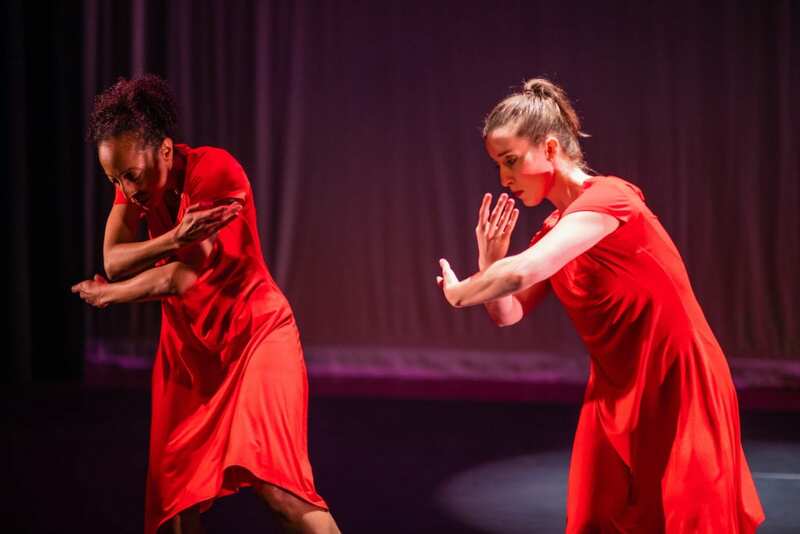 This weekend, Een will play new compositions and revivals as part of an evening of choreographic works by company artistic director Amy Gately, Jacqueline Lopez, Faith Im and Samantha Spriggs. Een shared more about his music and work with Room to Move Dance with ARTS ATL. ARTS ATL: Tell us a little about the music you will be playing. Robert Een: I have greatly enjoyed collaborating with Amy Gately and Room to Move Dance Company for the past two years. When Amy called to suggest we work together for another season, I jumped at the opportunity. I have composed original music for the new piece by Amy and the company entitled Shouts and Murmurs, as well as reviving our collaboration from last year’s Water Passion. For Shouts and Murmurs, I predominantly will be singing and playing cello. On one piece, I will be playing ﬁve Chinese temple gongs in addition to voice and cello. I will also play piano for two new pieces that are part of the program. ARTS ATL: What draws you to Amy Gately’s work? Een: It’s hard to pinpoint exactly what draws you to an artist’s choreography, but I’d say its kinetic, physical nature. As a person, Amy is such a nurturer. She includes other choreographers on the program and genuinely desires to train and connect with others. As a musician invited to play live, I enjoy the physical quality of playing an instrument and find in it a parallel to dancing. ARTS ATL: How do you interact with dancers onstage? Een: I have been composing and playing live for dance my entire career. I often think of my music for dance as a sonic response to the kinetic energy of a particular dance. This is true of my work with Amy and Room to Move. Amy begins with very speciﬁc concepts that motivate her choreography, and I respond to these, her verbal description, as well as joining the company in the studio to try out some of my musical ideas. One of the wonderful features of performing music live with dancers is that we can both play off of each other. We can listen and watch each other and subtly adapt what we do in that moment. In effect, this means that, each night, the exact timing of a particular sequence of sound and movement will be dynamic and unique to that evening’s performance. ARTS ATL: Tell us a little about your work with overtone singing. Een: I have been practicing overtone singing for a long time. I was especially made aware of this technique when I traveled to Tibet in 1985. When I returned to New York, I set upon learning to master this challenging and elusive technique. I have been incorporating it into my music compositions ever since. I also regularly teach overtone singing. ARTS ATL: What is unique about composing for dance versus genres like theater and film? Een: There are a lot of similarities — dance, theater and film have an affinity in their energy, their feeling and, for a composer, the question of “what do you do to drive this moment?” I have a BA in dance as well as music, and these art forms are a natural fit. In most universities, they are housed in separate departments, but, historically, music and dance are closely connected. ARTS ATL: Do surprises happen onstage as a result of the live music-dance collaboration? Een: Yes, but surprises onstage are usually good things. They are little spontaneous moments of breath rather than disruption. You can use them as an impetus, a moment of elasticity, a moment where you’re really in the groove. In the day of the internet, of virtual entertainment, people still like to share the same space and feel the energy of the performance together. I believe there will always be a place for a live performance.